Mid-Cheshire Hospitals NHS Foundation Trust (MCHFT) provides good quality, safe and effective healthcare to the people of Cheshire and beyond. The Trust manages Leighton Hospital in Crewe, Victoria Infirmary in Northwich, and Elmhurst Intermediate Care Centre in Winsford. It employs more than 4,500 members of staff, has around 540 hospital beds, and provides a range of services including A&E, maternity, outpatients, therapies and children’s health. 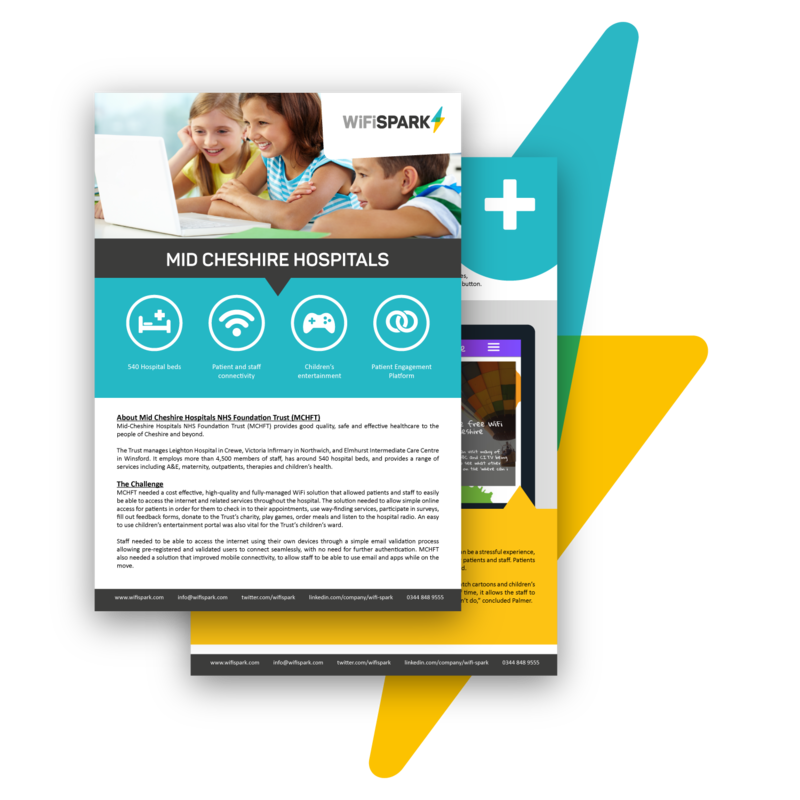 Our client had the challenge of providing a high-quality and fully-managed WiFi solution to its staff and patients that was cost effective. See how WiFi SPARK implemented a bespoke system to achieve their goals.